REL grads: you may have recently seen on our social media that current majors and minors were greeted with new book bags this Fall, with the Department identity on the one side and UA’s on the other. Well, now grads can contact us and ask for one as well. They’re flat-bottomed, sturdy bags, made from heavy canvas, and are 12 ” tall x 14 ” wide and open to be 5 inches wide. While suitable for books they also work great for, well…, virtually anything else you can fit in them, whether fresh produce form the farmer’s market or the river stone you’re using to build that sweet backyard water feature. 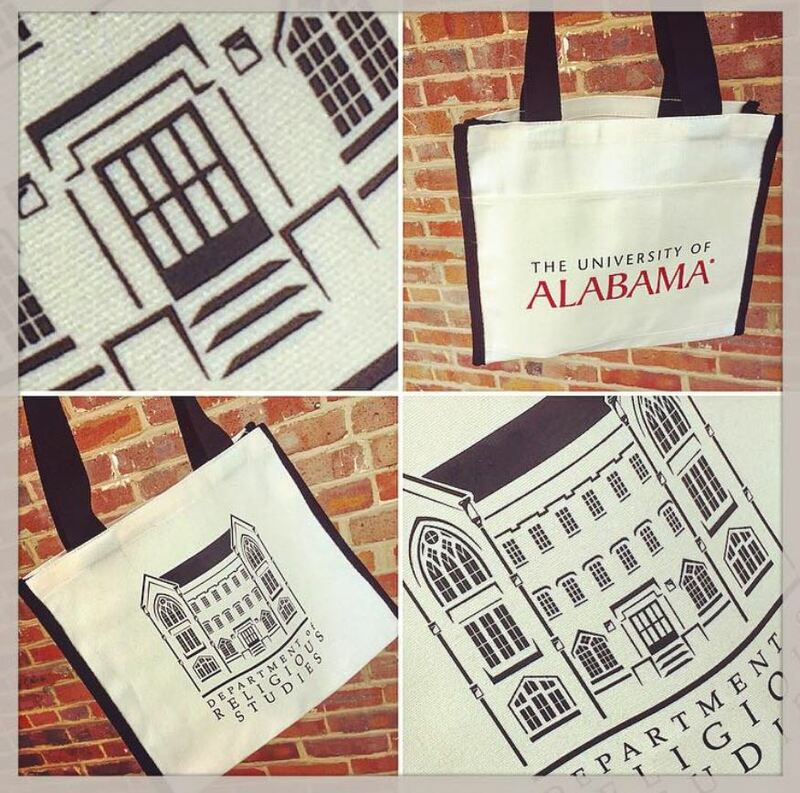 To get yours mailed to you, visit https://religion.ua.edu/stay-in-touch/ on the Department website and update your mailing address, tell us a little news about yourself, and at the bottom of the page, under Other Comments/Questions, just ask for a book bag. who majored or minored at UA in REL or Judaic Studies. This entry was posted in Faculty Blog, Grad Blog and tagged Book Bags, REL Grads by Russell McCutcheon. Bookmark the permalink.